We Are Going To France This Summer! Come With Us! 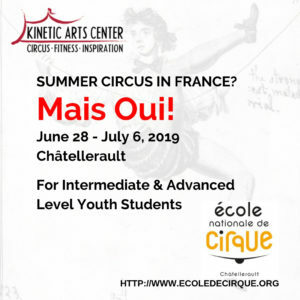 Kinetic Arts Center is thrilled to announce our Summer Circus 2019 program in partnership with l’École Nationale de Cirque de Châtellerault – France! Enrollment is limited to fourteen (14) intermediate to advanced level students (ages 13-18 years). Please read more about our program in the document link below! 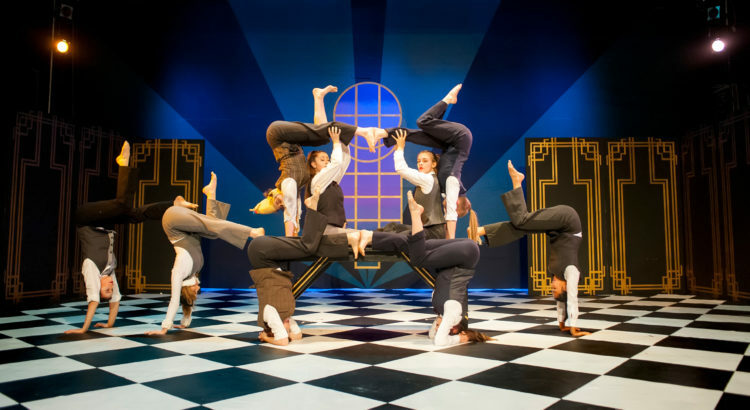 Not only will our program participants receive five (5) days of training at l’École Nationale de Cirque de Châtellerault, they will have two nights in Paris before heading south for a week of learning that has been created especially for Kinetic Arts Center. Email Michelle Post (michelle@kineticartscenter.com) with any questions or to reserve your spot!